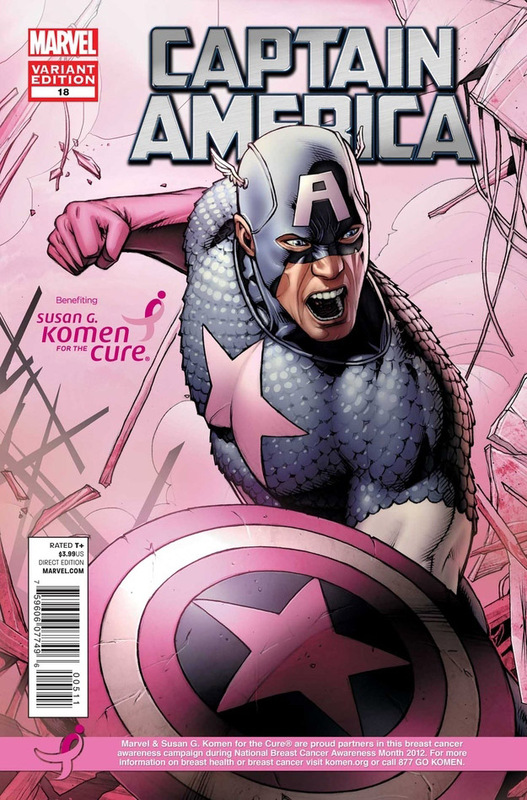 Marvel and the Susan G. Komen Cure Foundation have teamed up this year to bring breast cancer awareness to a different type of audience. For the entire month of October Marvel will be launching special comic book covers and educational material on ways to fight and reduce the risk of the disease. Wolverine, Captain America, and Thor are just a few examples of what's to come this fall. 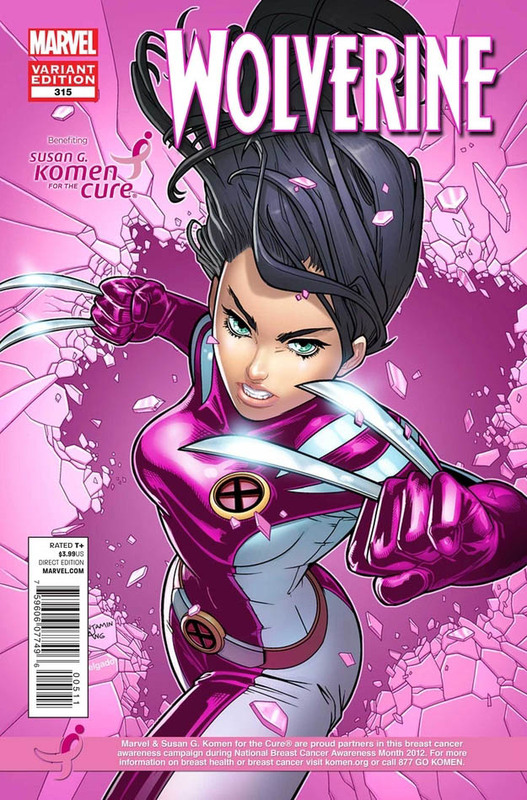 What a great gesture by Marvel to team up and help raise funds and awareness for Susan G. Komen for the Cure. The pink theme has been really outstanding, making it the trademark for breast cancer awareness drive. 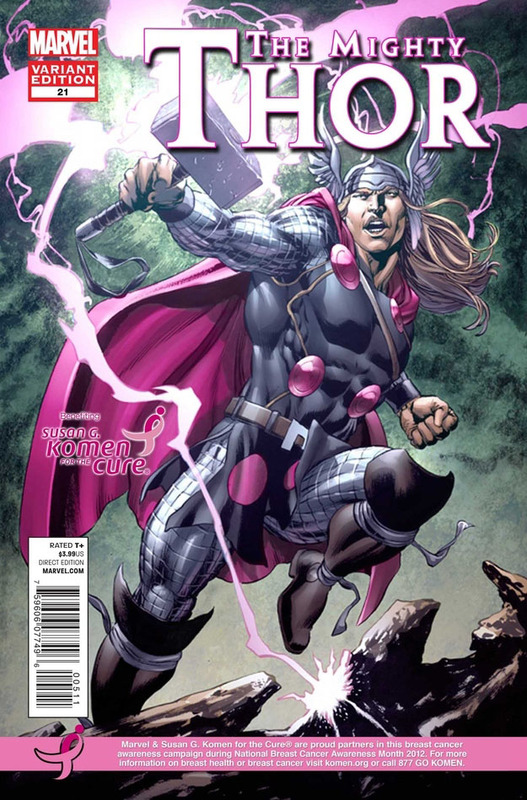 I think Thor looks great in pink, and made him look even tougher!